Read a pdf of this statement here. 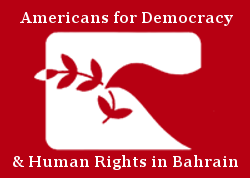 In advance of the Formula One Grand Prix Event in Sakhir, Bahrain on 8 April 2018, Americans for Democracy & Human Rights in Bahrain (ADHRB) expresses its distress at human rights violations that have occurred surrounding the race in past years. ADHRB also calls upon Formula One to ensure that these acts do not occur again this year, and that the Grand Prix will be held in an environment which fully respects human rights, particularly the rights to freedom of expression and assembly. The Formula One Grand Prix event has been held every year in Bahrain since 2004, with the exception of 2011. In that year, the people of Bahrain took to the streets to demand political reform. In response to peaceful protests, the Bahraini government began to violently repress demonstrations and dissent, arbitrarily arresting and detaining activists, human rights defenders, journalists, and political figures. The government of Bahrain declared a national state of emergency following these events, and Formula One cancelled the April 2011 Grand Prix. In 2012, Formula One returned to Bahrain and racing events continued, despite human rights violations. Seven years later, the Government of Bahrain has continued its repression of civil society, including the detention of prominent human rights defenders in substandard and unsanitary prison conditions after unfair trials, the dissolution of opposition political parties, and the suspension of the last remaining independent newspaper in the kingdom. The government also recently amended the Constitution to allow for the military trial of civilians, the first case of which resulted in six death sentences and revocation of citizenship for 13 individuals. As recently as January and February of this year, Bahrain has continued to impose heavy sentences and strip citizens of their nationalities in mass trials; in a two-day period Bahrain convicted 84 individuals, denaturalizing 72 of them. In addition to these ongoing rights abuses, the presence of Formula One in Bahrain has coincided with renewed crackdowns and police brutality, sometimes fatal. In 2012 a 36-year-old father of five, was beaten and shot to death during a protest in the village of Shakhura the night before the race. Also in 2012, police shot and killed a 22-year-old photojournalist who was covering protests surrounding the Formula One Grand Prix. In advance of the 2015 race, law enforcement used excessive force in response to peaceful protests against Formula One activities in Bahrain, including the use of tear gas and shotguns against protestors in 48 instances. Security forces also conducted warrantless arrests of 22 individuals, and arrested others in violation of the freedoms of assembly and expression. These violations occurred again in 2016 in the two weeks prior to the Grand Prix in Bahrain, including 57 arbitrary arrests and the indiscriminate use of tear gas against protestors. Additionally, a 17-year-old boy was struck by a police vehicle and killed during the April 2016 race. The Grand Prix in April 2017 saw similar human rights abuses, including the use of tear gas against protestors and the targeting of free speech. Violations last year included the detention and interrogation of a journalist, and the denial of press accreditation and licenses for international media outlets. The forces who engage in the use of excessive force and who affect arbitrary arrests work directly with Formula One. The Special Security Force Command (SSFC)’s Brigadier Abdullah al-Zayed explicitly linked the SSFC to Formula One, stating in 2017 that the SSFC explicitly oversees “security arrangements to maintain security at national events and activities and make security arrangements for conferences, exhibitions and official meetings. They are also actively involved in global events like securing the Formula One event and in providing general security in cooperation with other agencies.” Activists have reported that the SSFC have been present and engaged in repression of demonstrations in the context of the Grand Prix when human rights violations have occurred. The Formula One Grand Prix is also tied explicitly to members of the royal family. The CEO of the Bahrain International Circuit is Shaikh Salman bin Isa Al Khalifa, who collaborates with the Ministry of Interior (MoI) and the SSFC and coordinates racing activity with them. The MoI oversees policing activity in Bahrain, and all arrests during protests surrounding the Grand Prix were undertaken by MoI forces. These and other human rights abuses have been documented in detail and submitted to Formula One Management on a consistent basis. ADHRB has previously addressed this issue directly with Formula One through mediation proceedings following a complaint to the Organisation for Economic Co-operation and Development (OECD) in 2015. The result of this mediation was the promulgation of a new human rights policy for Formula One, the Statement of Commitment to Human Rights. This statement includes taking proportionate steps to conduct due diligence in regards to potential human rights violations due to Formula One’s own direct actions, as well as their indirect actions, through business relationships including suppliers and vendors. ADHRB and a number of other NGOs have consistently provided information and documentation on human rights abuses connected to the race, all of which have been committed by the SSFC and other forces within the MoI. ADHRB calls on Formula One to fully investigate allegations of human rights abuses in the context of the Grand Prix, and to seriously reconsider their partnership with Bahraini institutions which commit these abuses, particularly the SSFC and the MoI. We also call on all race participants to engage in meaningful discussions on human rights and corporate responsibility. Hani Al Amoush, May the force be with you: SSF pledges top class security, Al Amn Magazine 98 (Dec. 2017), at 22, available online at http://www.policemc.gov.bh/en/al-amn-magazine/al-amn-magazine/77817.